Cobb Hill recently wrapped up construction on an addition and renovation project at Granite Ledges in Concord. 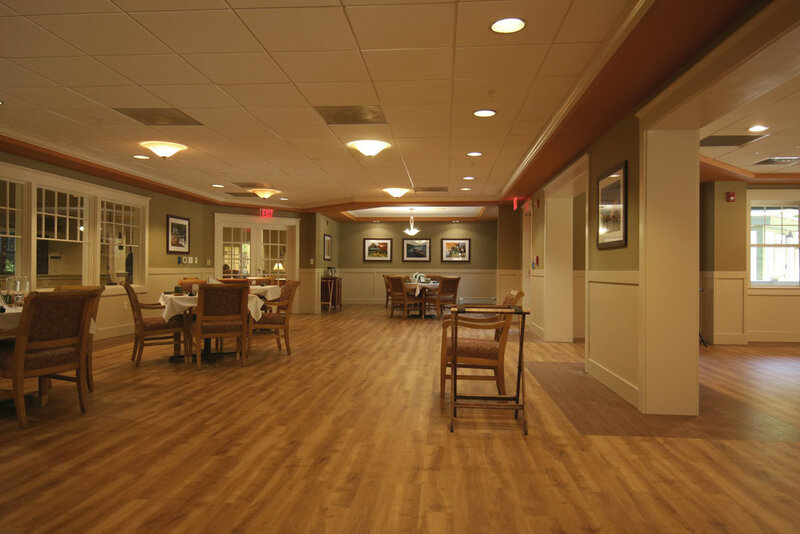 The project included construction of a new dining room as well as refinishing the existing dining room. The new addition included a new shingle & rubber roof and Hardi siding and trim, doors & windows, screen porch, interior wall panels, LVT and wallpaper.